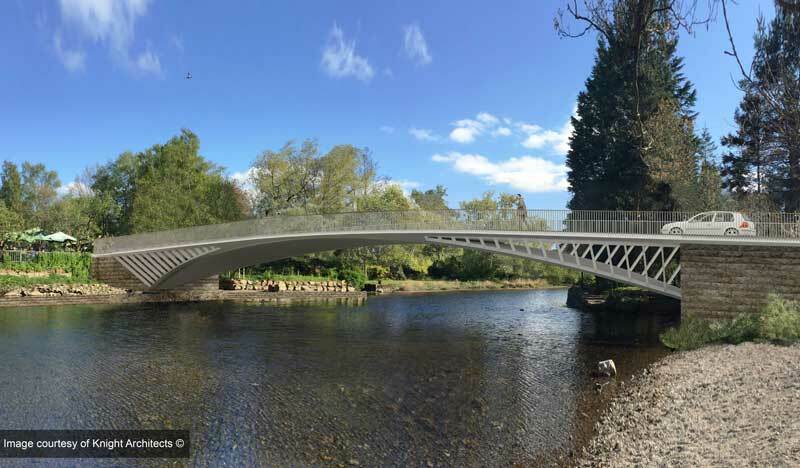 M-tec, the architectural division of the wider WEC Group Ltd, have won a new multi-million pound contract to fabricate a stainless steel bridge for the iconic village of Pooley Bridge in the Lake District. The bridge components will be profiled by our Rotherham based division DNA Metalwork and then fabricated by our team of specialist welder/fabricators in Darwen. The structure is an open-spandrel arch bridge design with a 40m span and will be crafted from 110 tonnes of Duplex 2205 stainless steel as well as concrete. Once completed, it will be used for pedestrian and single lane motor traffic to cross the river. As a leader in bespoke metal fabrication, m-tec have already been involved in numerous projects including the design, manufacture and installation of the Mead’s Reach Bridge at Temple Quay in Bristol. Weighing in at 75 tonnes and spanning 60 metres, the bridge was part of a £200 million pound regeneration project for the Temple Quay area. To this end, m-tec were selected for the Pooley Bridge project as the bridge’s structure is extremely difficult to manufacture and the company has a proven skill level and ability to deliver complex stainless steel fabrications with value engineering. The new stainless steel Bridge is set to replace the original stone arch bridge dating back to 1764 which served as a crucial transport link for the local area and was what the Pooley Bridge village drew its name from but was removed in the flash floods of December 2015. With fabrication work on the bridge planned to commence in June 2019, it is estimated that the bridge will take around 6-7 months to complete. Designed by Knight Architects, the finished steelwork for the bridge will be installed by Eric Wright Construction at the northern tip of Lake Ullswater within the picturesque Lake District in January 2020.